Our Passover Seder is easy to follow and interactive. It is integrated with meaningful insights, stimulating discussions, delightful food, song and Jewish humor. The atmosphere is warm and friendly. This Passover please join us for a Seder experience you will remember for a lifetime. Relive the exodus, discuss Passover's relevance today, and celebrate the freedom of Passover in the same way our ancestors have over the last 3,327 years. NO ONE will be turned away due to lack of Funds, if you can't afford amount please enter any amount and no questions will be asked! Wishing you a Kosher and joyous Passover! "All who are hungry come and eat, all who need, come celebrate Passover". At Chabad we live this statement all year round. 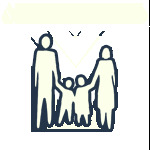 What enables us to continue to offer this for our community is the generosity of the friends and supporters like yourself. 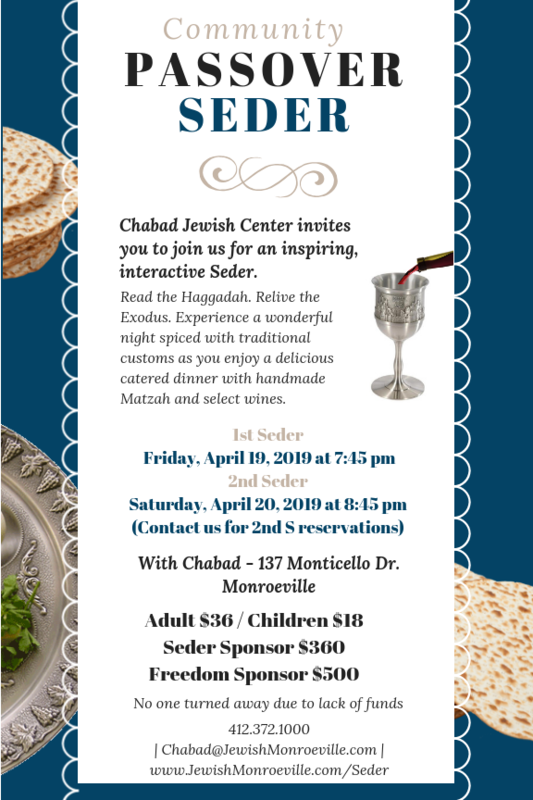 This year we are once again offering "Seder-To-Go" kits for those in the hospitals, nursing homes, or those homebound that cannot make it to a family or community Seder. Please consider partnering with us to make this all a reality.